The dark simplicity of Mocha Shaker makes up for an exquisite touch of beauty to the heart of your home. This line of kitchen cabinets from Craftsmen Network showcases a unique blend of practicality in form and function made luxurious by the rich chocolate finish it comes in. 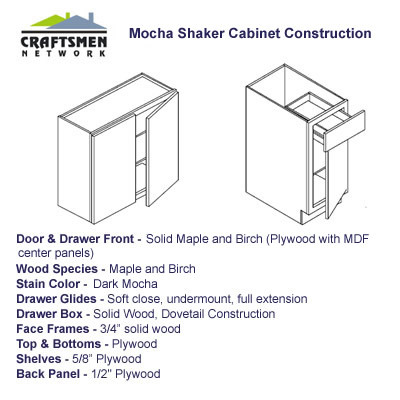 Mocha Shaker RTA Cabinets draw their appeal from the timeless symmetry that they posses. The emphasis on "form follows function" draws a deeper attraction that highlights the quality not only of the material but craftsmanship in manufacturing the products as well. Without losing the rich legacy of simple and clean looks, designed for utility; these cabinet pieces are made to look lavish with the flavorful dash of coffee-like color that indulges any homeowner's need for aesthetic charm. The downright basic lines and rich finish of Mocha Shaker Cabinets allow them to complement well with a wide range of decor from ultra modern, early English, to gorgeous vintage. 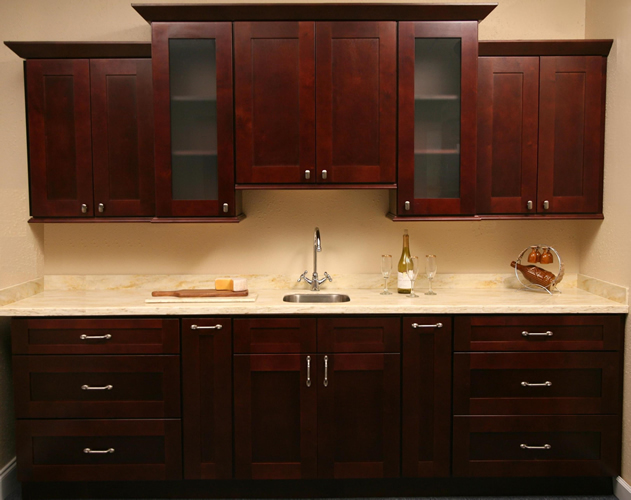 Here at Craftsmen Network, the lusciously dark charisma of Mocha Shaker Cabinets is made more tempting by the quality with which they are made of. 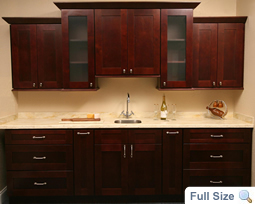 We showcase a collection of kitchen cabinets that are as durable as they are attractive.